1-minute setup - No CC Required. Joomla is one of the world’s most popular and extendable open source content management systems (CMS). If you can dream it, it’s possible with Joomla and the vast extensions directory. WordPress is the world’s most popular open source blogging tool and content management system (CMS). Our WordPress Hosting includes everything you need to build and maintain your Wordpress site. Instantly launch free Jomola and WordPress sites. 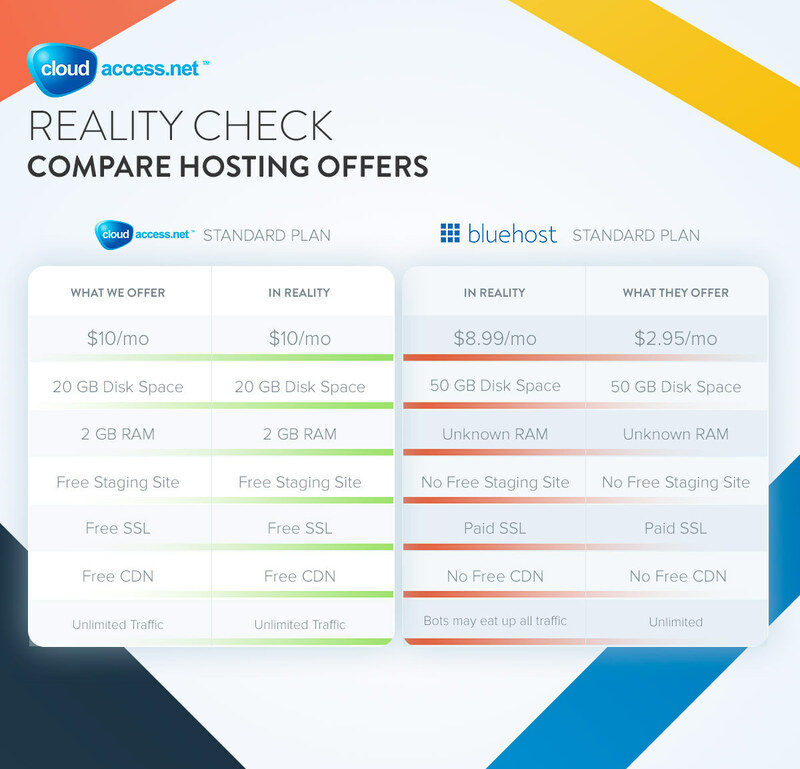 Our Free Hosting program allows you to keep your sites online at no-cost. We have an industry-leading, award-winning support team ready to help you when you need us. Submit online tickets or call us on the phone to get direct help as you develop online. Search for and register a custom domain name for your website or transfer any domain name to our network. Multiple extensions are available. The Cloud Control Panel™(CCP) is at the heart of our platform. It allows you to manage each application, purchase new products, submit support tickets and more. 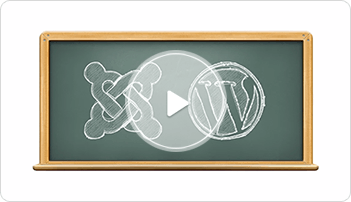 Watch a webinar for follow our Getting Started with Joomla and WordPress Video Tutorials to learn how to develop your Joomla or WordPress website. Access your email, calendars, contacts, tasks, and more in the office, on the road, or at home with CloudMail - a leading webmail interface integrated with your domain name. We’ve developed hundreds of training documents and video tutorials for Joomla, WordPress, our Cloud Control Panel and more to help you learn and develop at your own pace. Improve the speed, SEO and security of your website and experience the fastest supported DNS network available, included free of charge with any registered domain name. Our hosting platform is built for speed. We own and maintain state-of-the-art servers finely tuned for the Joomla and WordPress applications. The CCP is a custom application management tool so feature rich it's unlike any other control panel you'll find in the hosting industry. We backup your application everyday and we retain backups for 14 days. You also have tools in the CCP to create and restore backups. Our Platform is tuned for reliability. With an average network uptime over 99.95%, you can be sure your site is in good hands on our network. CloudMail is an email service with unlimited email accounts integrated into your domain free of charge for any paid hosting & support plan. Our Support Team consists of Joomla and WordPress experts. Submit a support ticket or call us to get 24/7 expert support on website. Schedule and automate the updates to your site and extensions. Intelligent scanning and automatic restorations ensure your site is always up-to-date and online. We're the preferred web hosting provider for thousands of happy cloud family members because of the high level of support that our clients receive from our dedicated and knowledgeable support team. Read our client testimonials. We really enjoy our partnership with CloudAccess.net and are grateful for the superlative customer service we have received! I am THRILLED that I moved my website to CloudAccess.net. This is truly world class service. Thank you! Get more done with our Cloud Control Panel™. It combines countless innovative features into a simple, easy to use interface. We employ highly skilled Support Technicians that know and understand the inner workings of the Joomla and WordPress applications. Our Support Team is trained to provide the very highest level of custom service.